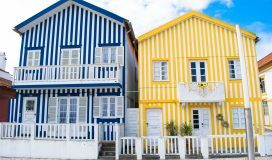 On the 9th of June 2013 my parents attended a ‘mega cabidela’ festival in the town of Cabanas de Virato, which is the town where the war hero Mendes was born and grew up. It was a charity event for the Bombeiros, who are volunteer firefighters. Unlike in the UK, in Portugal the firefighters have a stronger centre stage than the other emergency services, as throughout the summer months Portugal tends to be plagued by forest fires. We found out about the event from Fernando, the owner of our local hardware shop. My Dad spends a *lot* of time down at the hardware shop buying new toys and in the first few weeks that they were living there he must’ve visited nearly every day, which was where the pressure washer and the gas bottles below came from. In Portugal, like many other European countries, gas comes from bottles rather than underground pipes. This makes a lot of sense considering how frequently they have fires in the summer months. So when Fernando dropped off a new 45kg gas bottle for us at our house he also took great pleasure in telling us that our exposed gas bottles were a massive fire hazard and, subsequently, that there was also a charity event going on the following weekend. This was also how we found out that he was the Commander of the bombeiros! My parents thought that it would be a fantastic opportunity to meet other people in the village and neighbouring towns. As it turned out, it was! Mum was really paranoid that chickens would actually be killed at the event in front of an audience so she was a bit worried about going along. I explained this concern to Fernando, who took great pleasure in doing a fantastic impression of ringing a chicken’s neck in front of an imagined audience before bursting into a belly laugh. The chickens were killed elsewhere and humanely, as it turned out. I had left Portugal a few days earlier so I was quite sad to miss out on the festival, but my parents had a fantastic time. About 400 people showed up to this event and virtually everybody who my parents spoke to had heard that they had moved into the village – can’t keep no secrets, eh? Next to my mum is Fernando Cruz, who played football with Eusebio at Benfica in Lisbon. His wife next to him is the daughter of the housekeeper at Mendes’ house (see the link at the start of this post). Behind Mum is a Doctor and her husband. I think my Dad was more interested in the football talk – typical! But my parents were plied with an endless supply of wine and food (chicken!) from a buffet all for the price of a €10 ticket. The cost of living in Portugal is nothing compared to the UK so €10 would have gone a long way. They didn’t expect any donations and the spirit of the festival was for everybody just to have a great time. Did I mention already that that the Portuguese are a very proud nation? Well, they also love their hand shakes and photographs even though don’t seem to smile too often! After the main meal the desserts were brought out in a buffet style. My parents think that every lady in the whole town must’ve made their own sweet as they seemed very competitive over who had the best presentation. My parents also told me that they had never seen such a huge quantity and variety of food in their lives. Despite that, the sweets only lasted a few seconds before they were all eaten up. My parents risked having no dessert if they took a photo so I’ll leave it to your imagination as to what the desserts looked like :) While all this was going on the band started to play (needless to say, the band didn’t get any dessert!). 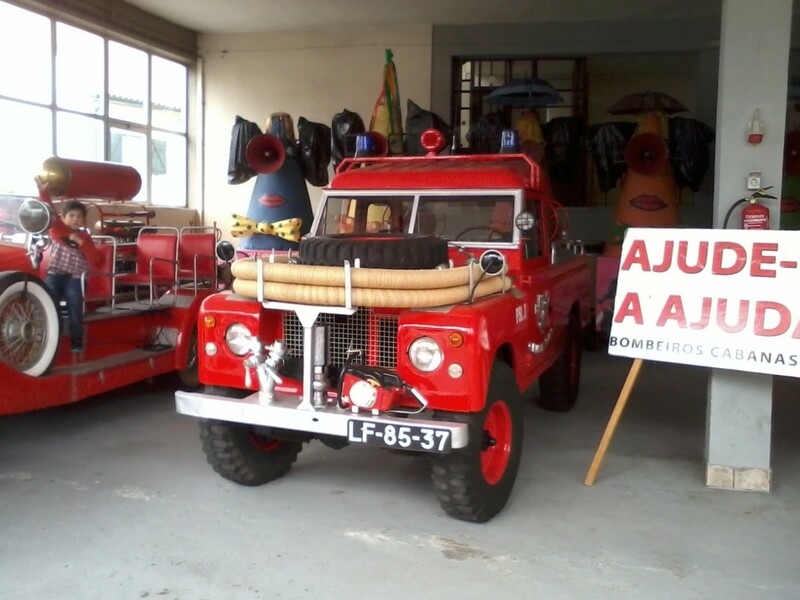 After the band, everyone was taken on a tour around the old bombeiros fire station and to take a look at the vintage vehicles. A VW camper van that is also an ambulance! This was Mum’s favourite vehicle. She had visions of stealing it away, converting it into a tourer and travelling around Portugal in it. Sorry, Mum! The hose looks a little short if you ask me. This last photo is of some of the younger Portuguese trying to get the truck started by using the crank handle on the vintage car. It was a fruitless attempt but apparently it was a very funny.